WASHINGTON, DC	– THE LEGG MASON TENNIS CLASSIC presented by GEICO returns to the William H.G. FitzGerald Tennis Center (16th & Kennedy Streets, NW), from July 29-August 6, 2006, with new commitments from another former champion – 2003 titlist Tim Henman, as well as Marat Safin and rising British star Andy Murray. They join three of the world’s top 10, previously announced Andy Roddick (defending and 2001 champion), James Blake (2002 champion) and Lleyton Hewitt (2004 champion), as well as Asia’s top player Paradorn Srichaphan and the world’s top doubles team, the Bryan Brothers, Bob and Mike. 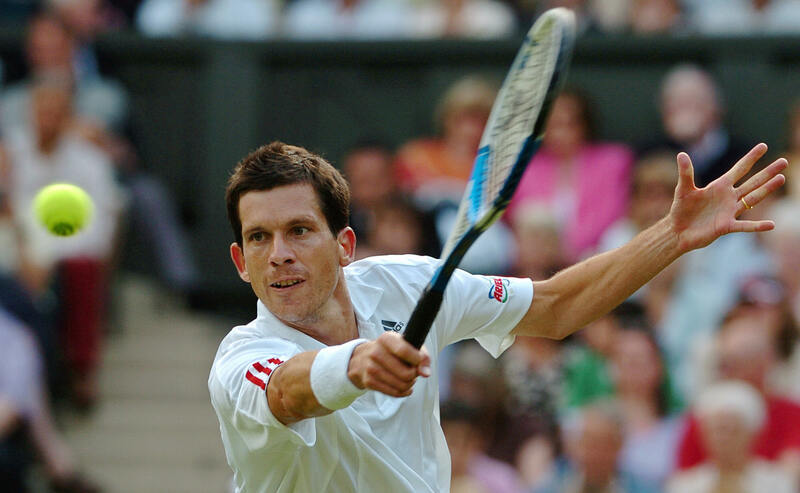 Henman, England’s top player for several years, won the Legg Mason Tennis Classic in 2003, defeating Fernando Gonzalez. He spent eight straight years in the Top 20, and reached five ATP quarterfinals in 2005. This year, he has reached the semifinals at Zagreb, and just this month on the grass at London Queens Club. Henman has won 11 career singles and four doubles titles. Marat Safin’s 15 career singles titles include two Grand Slam championships – the 2000 U.S. Open and the 2005 Australian Open. The young Russian star has only played at the Legg Mason Tennis Classic once, while still a teenager, in 1999 – before his phenomenal breakout year of 2000, when he finished with seven ATP titles as the world No. 2. When he turned pro in 1997, Safin turned heads by moving more than 200 ranking positions. Scottish teenager Andy Murray more than doubled that feat, climbing 449 spots and finishing 2005 as the second-youngest player in the year-end Top 100. He won his first title this year at San Jose, defeating Mardy Fish, Roddick and Hewitt to do so. For more information on the Legg Mason Tennis Classic, or to order ticket packages – including Box, Series and Weekend Seats, Suites and Group Packages – please call 202.721.9500, or visit the tournament website at www.leggmasontennisclassic.com. Single session tickets, ranging in price from $9-$45 – based on session date – are available through all TicketMaster outlets, 202.397.SEAT (7328). The Legg Mason Tennis Classic is a US Open Series event. The US Open Series brings together the ten summer tournaments in North America, three television networks, tennis’ sanctioning bodies and top corporate sponsors during the summer tennis season. Since its launch in 2004, The US Open Series has doubled television viewership of tennis, increased total event attendance and contributed to the growing popularity of the sport. A portion of the proceeds from the Legg Mason Tennis Classic benefits the Washington Tennis & Education Foundation (WTEF). WTEF seeks to improve the life prospects for D.C. area youth, particularly those from lower-income communities, through tennis, educational and community-based activities that teach discipline, build self-esteem and improve academic performance. Legg Mason is a global asset management firm headquartered in Baltimore, Maryland. Through its subsidiaries, Legg Mason's sole business is asset management, and it has on-the-ground management capabilities located around the world. As of March 31, 2006, Legg Mason had assets under management aggregating approximately $868 billion.